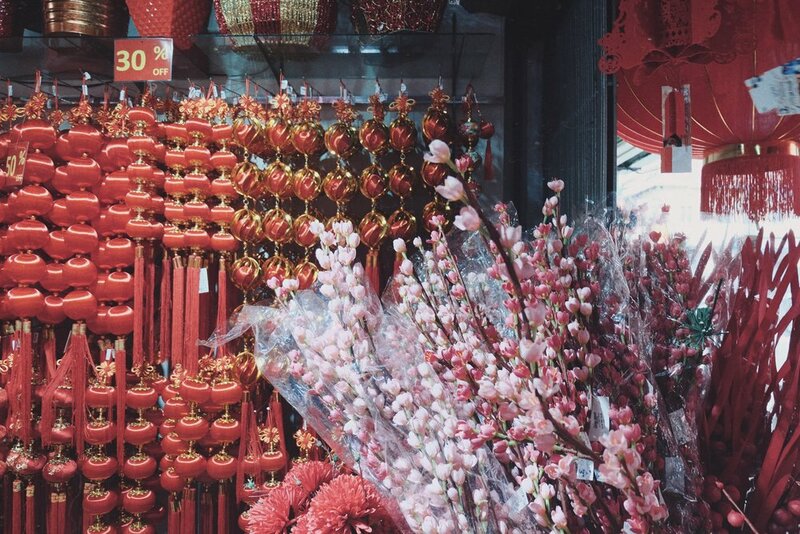 Here are some photos taken over the past few weeks, with the Lunar New Year just around the corner. The streets are bright this time of year, here in KL—day and night. 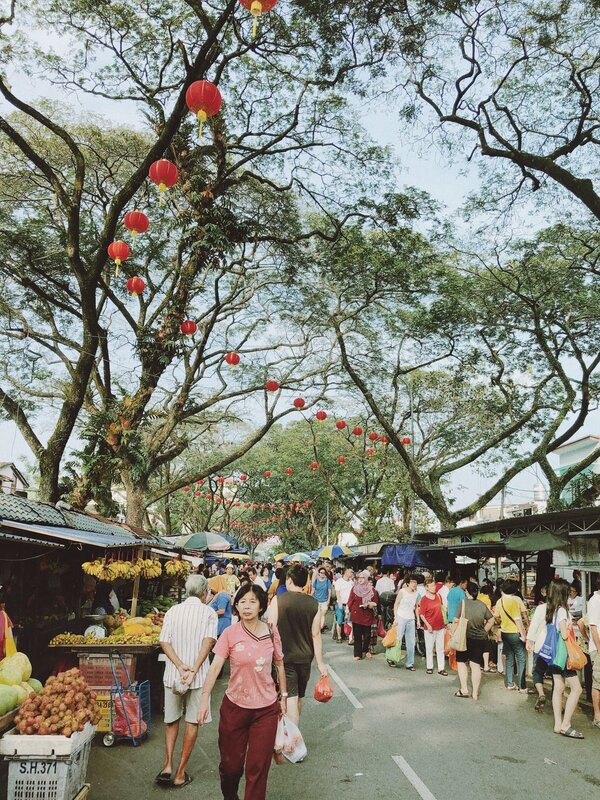 Red lanterns hung, people splurge on decorations, colorful plants are up for sale. Tons of cookies out on shelves in supermarkets. Cakes, nuts, mushrooms, name it all. 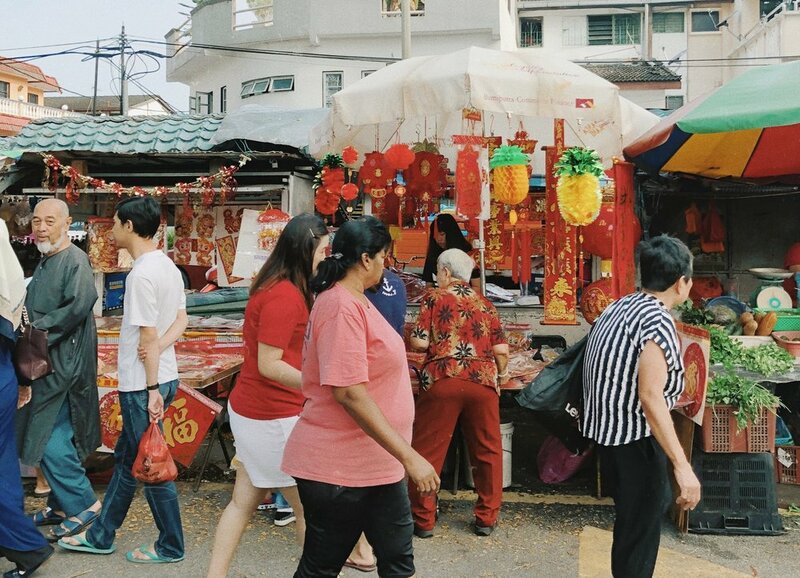 We went around quite a bit the past few weekends, once to Petaling Street. As usual it dazzles in red. SS2 in PJ was no exception too. There are also some lively morning markets, so much to see (and so much to eat!). 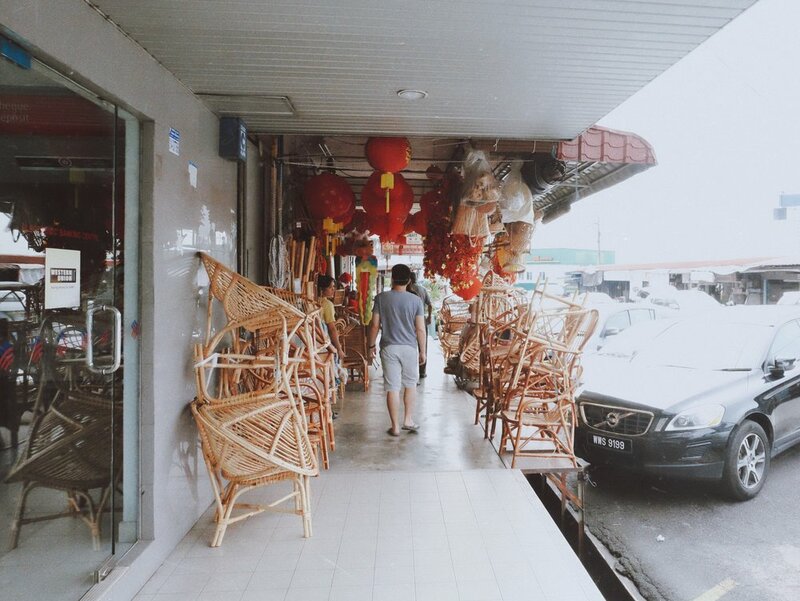 a store selling traditional rattan chairs. morning markets. bustling with locals from 7am onwards. malls are so pretty this time of year! the towering 'lantern' at the Twin Towers. So much red right? I wonder if other major cities are as festive as KL is, aside from the ones in China, of course. 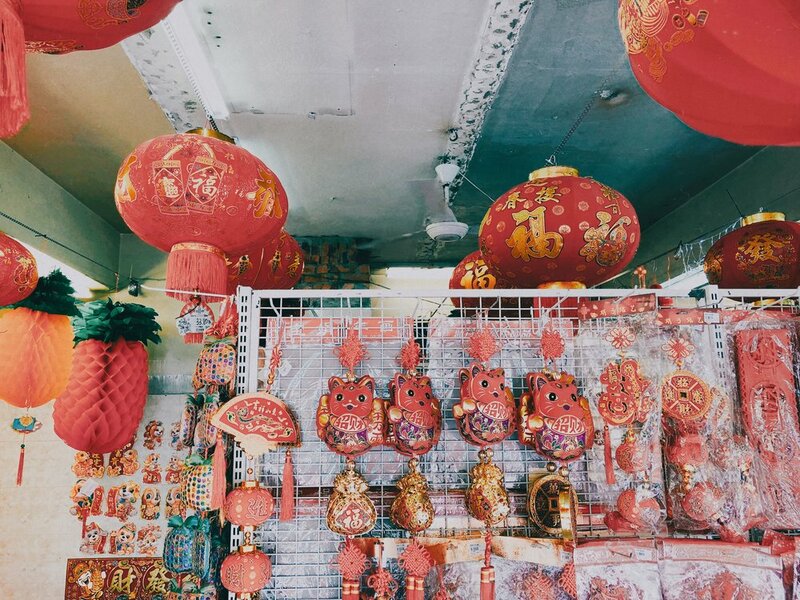 Would love to see the Chinatowns all over the world this time of year. As usual we're attracted to the traditional side of things, if we look closely, there really are few decorations that are truly traditions—have this or that item been around for long? Is this a new thing? More of: On the Streets of.